Free movement in children is a troublesome time recently like icy and hack. In spite of the fact that it’s the nature’s method for flushing poisons out of the body, a great deal of salt and water is lost amid the procedure. It regularly brings about drying out turning the youngster pale. On the off chance that your child passes pee alongside the free stools, you don’t have anything to stress over other than lack of hydration. In any case, if the child or child quits urinating totally, urinates after a crevice of 6 to 8 hours, or has constant retching with free stools you have to counsel the specialist ASAP. Applesauce is very helpful in forming firm stools since it contains pectin. Note : Apple juice is’t suitable for child suffering from loose motion. It contains sorbitol which are worsen the situation. Arrowroot help in maintaining healthy balance in the babies stomach and aids in curing loose motions. Once completely dried, grind it in it a powder, sieve and store in airtight container. Take I tbsp of arrowroot powder and mix it with water. No lumps should be there. Cook on medium flame for some time. Add some buttermilk or curd and a little buttermilk or curd and little salt if you want. 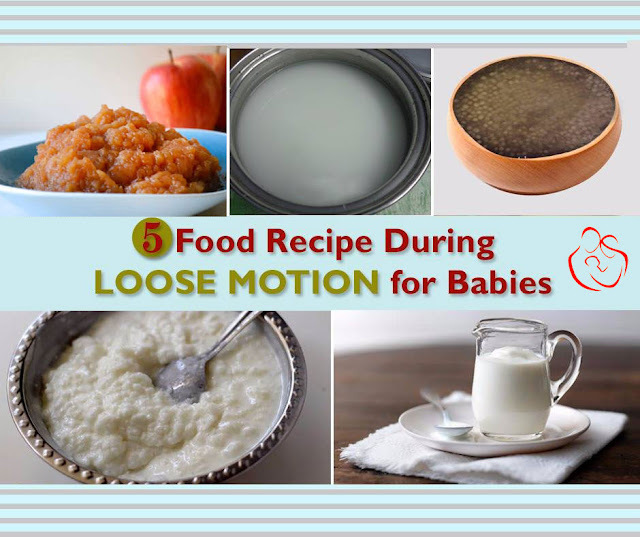 Curd Rice help in digestion while boosting the good bacteria in baby’s gut. Homemade Curd Rice Note : You should not give curd rice to your baby if he/she also has a cold. Sabudana Porridge is a quick energy booster and helpful in relieving loose motion. Cook the sabudana in water till you get a porridge like consistency. Serve it to the child as it is or strain and feed the water. Note : This porridge should not be made with milk and dry fruits, Use only water. Butter Milk helps in providing good bacteria and rehydrates baby’s body. Take 1/2 cup curd in a bowl. mix some roasted ground jeera powder and pinch of salt to it. Add water to it and blend it with a blender. Serve it to your child once it is frothy. Note : Use only homemade curd and ensure that it is not sour. Buttermilk should be served at room temperature to babies.